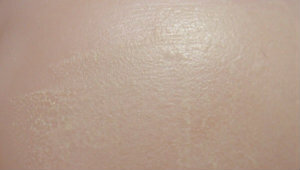 Click the button below to add the Preblended Genesis Doll Colors Texturizing Foundation, Light Flesh (CAUSASIAN), .5 oz. to your wish list. This product is a blend of Genesis Heatset pigments and mediums specially developed to create a semi-transparent, texturing moist skin foundation or intermediate flesh layer on your dolls. Can be thinned or blended with any other Genesis paint or medium for more customized results.